Commissario Guido Brunetti must question his own assumptions about culture, virtue, and class in order to solve a shocking case of rare book theft from a Venetian library. 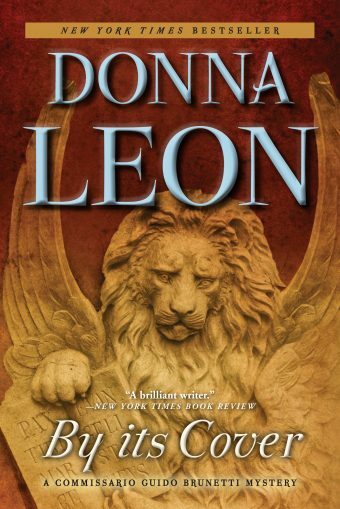 Donna Leon’s critically acclaimed, internationally bestselling Commissario Guido Brunetti series has attracted readers the world over with the beauty of its setting, the humanity of its characters, and its fearlessness in exploring politics, morality, and contemporary Italian culture. 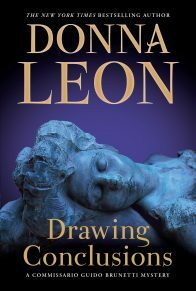 In the pages of Leon’s novels, the beloved conversations of the Brunetti family have frequently drawn on topics of art and literature, but books are at the heart of this twenty-third installment in a way they never have been before. As the investigation proceeds, the suspects multiply. 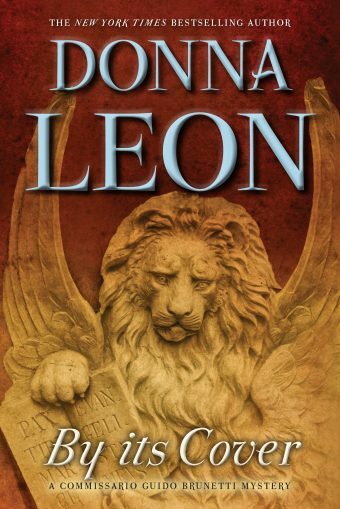 And when a seemingly harmless theologian, who had spent three years at the library reading the Fathers of the Church, turns up brutally murdered, Brunetti must question his expectations about what makes a man innocent, or guilty. 1. What kinds of collections are available at the Biblioteca Merula, and what kind of patrons do these types of works attract? What is the nature of the crime that has been committed at the library, and what does it suggest about the perpetrator? 2. What is Brunetti’s connection to one of Biblioteca Merula’s benefactors, Contessa Morosini-Albani? 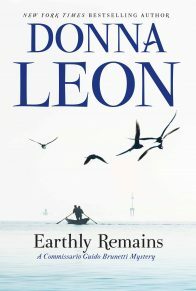 What is her family’s standing and reputation in Venice? Why is Brunetti, as well as members of his family, surprised to hear that the Contessa donated rare books to the library? 3. What does Brunetti learn about the Biblioteca Merula’s most consistent visitor? 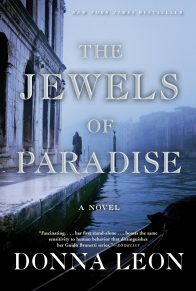 What does Brunetti assume about him based on the behavior—and literary preferences—the library staff describe? 4. 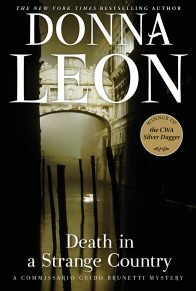 Both Brunetti and his father-in-law, Conte Orazio Falier, despair at the irresponsibility and corruption demonstrated by their fellow Venetians. What are some of the more conspicuous signs that the city’s elite value short-term profits over preserving the city and its treasures? What is Conte Falier’s response to these problems, and do you agree with his course of action? 5. What does Brunetti learn about the rare books market from Contessa Morosini-Albani? How is value determined? Who are the players in this market, and which of them knowingly participate in illegal activity? Given the often murky provenance of individual objects, is it ethical to participate in this type of market at all? 6. Signorina Elettra and Contessa Morosini-Albani each have strong views about collectors. How does each woman characterize collectors or collecting? Does Brunetti agree? Do you? 7. What is the difference between how Contessa Morosini-Albani defines books and the way in which Brunetti sees them? 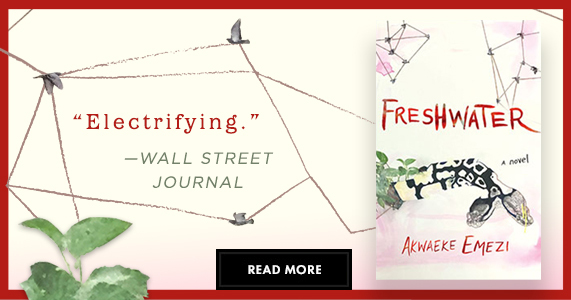 Are there instances in which illustrations or format are more important or valuable than the text itself? Or is text always more essential than the art or a work’s presentation? 8. What do the police find when they are summoned to Aldo Franchini’s apartment by his brother? What does the manner of his death suggest to Brunetti? What new details does Brunetti learn about the victim from a conversation with his brother? 9. How did Signora Marzi meet Signor Franchini, and what was the nature of their relationship? Why does Signora Marzi cooperate with Brunetti? 10. At what point does Brunetti begin to suspect something about the library’s security guard, Piero Sartor? What does Brunetti learn about how Franchini, Nickerson, and Sartor worked together? Who benefitted most from the arrangement, and who was most vulnerable? 11. What is Commissario Claudia Griffoni doing while Brunetti questions Sartor? Is her approach effective? Is it ethical?